Our friends at KW Realty in Roseville gave us a call to help them out on a listing. This mobile home was up for sale and the garage door was damaged. They wanted to get it fixed before putting it on the market, taking pictures and having showings. As with most homes going on the market, budget is a concern and the homeowners didn’t want to spend a ton of money on repairs. We took these pictures when we came out for the initial inspection. The good news is, the damage is on the lower 2 panels only. This means that, so long as the door is still being manufactured, getting replacement panels is an option. 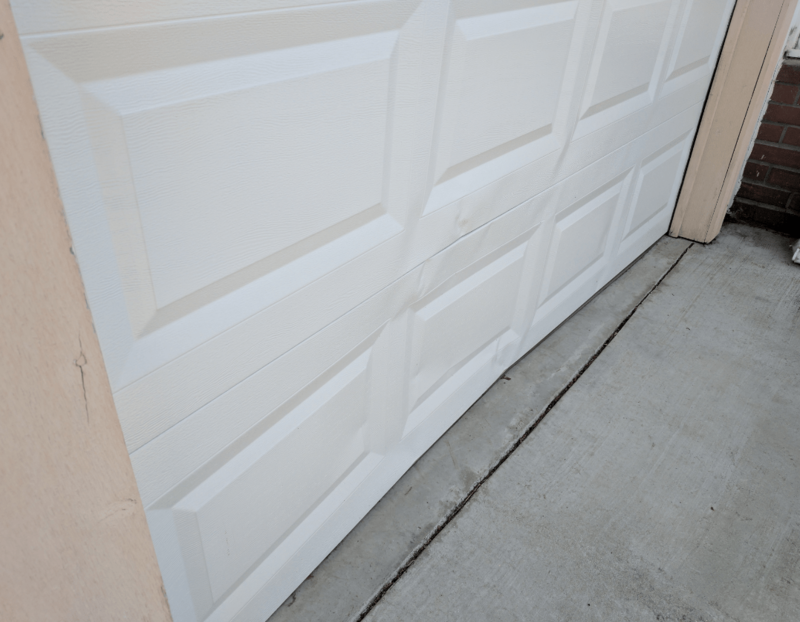 Replacing garage door panels is a lot cheaper than investing in a brand new door, so the homeowners were happy about this. We ordered the panels and they came in in just a few days. We took them over, removed the old panels and installed the 2 brand new panels. While there isn’t a very exciting “after” photo, the door now looks good as new, and it’s functioning properly, which is the most important part! The homeowners are happy they can finally list the home, and the realty company is happy then can push forward on their work to market the listing and get the home sold for their clients! 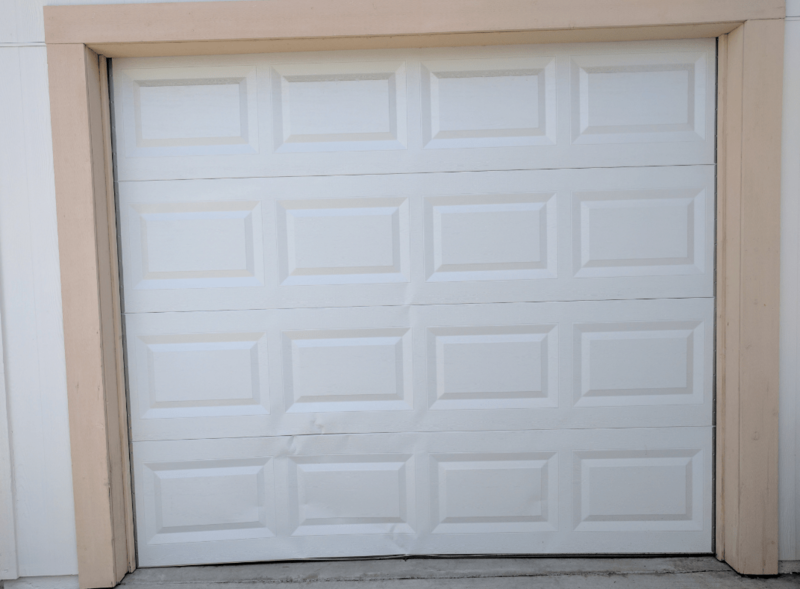 Garage door panel repair is a pretty common repair, and we enjoy giving a garage door a quick facelift and saving our clients some cash so they don’t have to replace their entire garage door. 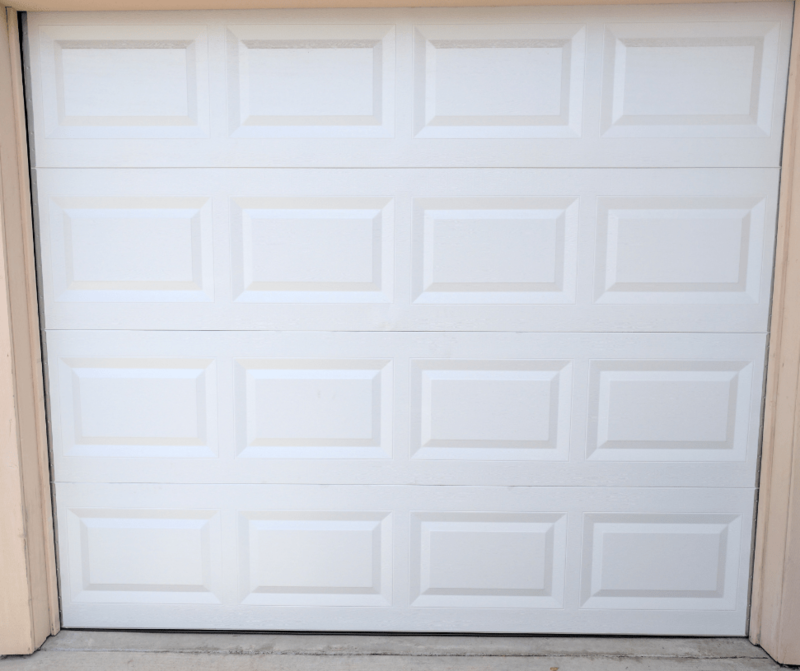 Panel replacements are easy to do even if you have a painted garage door. Simply match the paint once the new panels are installed and you’re good to go! If you’re in the greater LA or Pasadena area, give Gr8 Garage Door a call and we can get your panels fixed!